When I first started Modern Stationer, Lindsey Hinkle, who runs the online stationery shop and subscription service Neatography, was one of the first people to send words of encouragement on Twitter. It was a small jesture, but small justures feel big when you're in the "no one is actually reading this" stage of starting a new blog. A card and stamps collection ($18) for those who want to go all in on correpondence. A paper goods collection ($28) for those who prefer a mix of cards and other assorted stationery items. You can opt to receive your preferred collection monthly, quarterly, or as a one-time purchase. 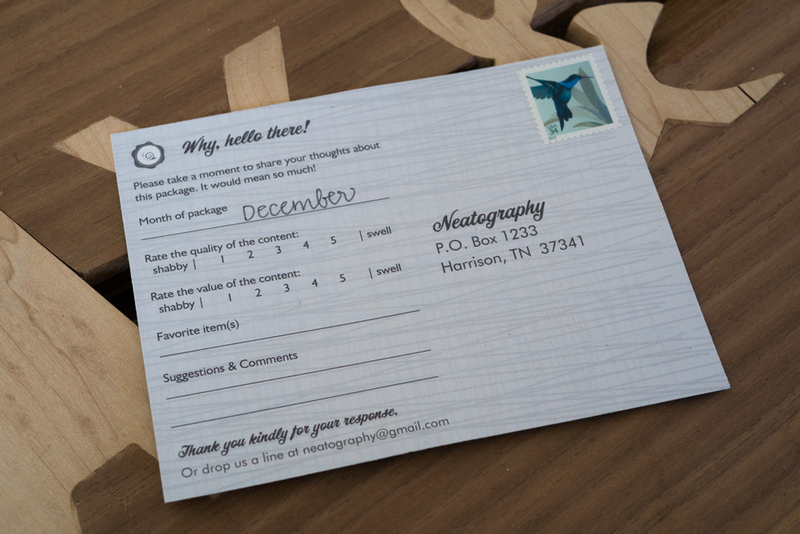 Since I've already checked out a couple of card only subscription services recently, I decided to give the Neatography paper goods collection a try. 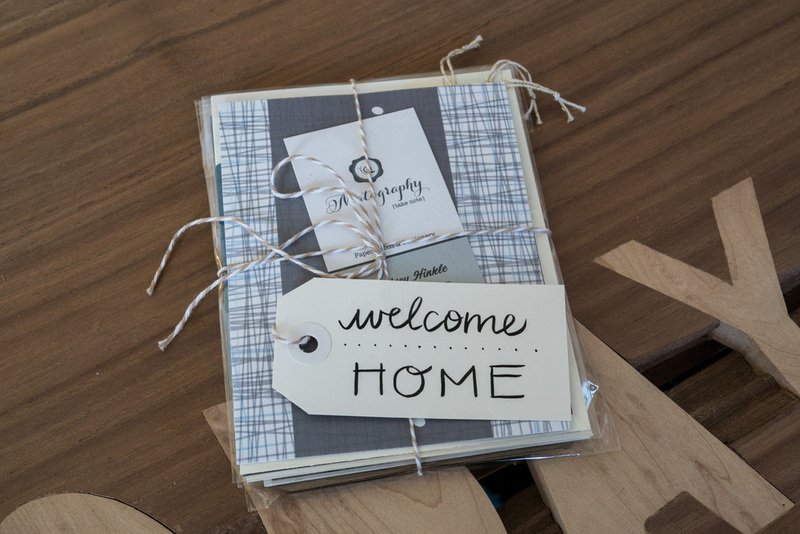 Lindsey's monthly collections have a common theme, and my January paper goods delivery arrived under the banner "Welcome Home." 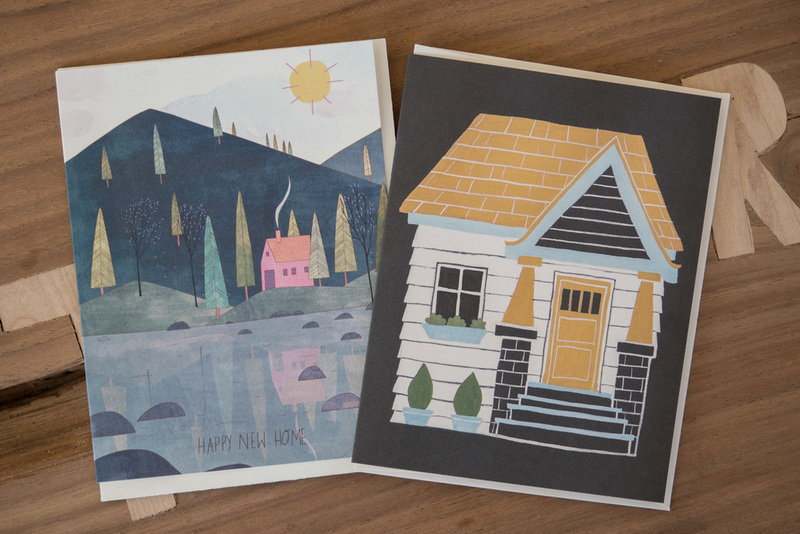 The first items to catch my eye were these two illustrated new home cards from Beverly Hills, Calif.-based Red Cap Cards (left) and 1canoe2 of Columbia, Mo. (right). 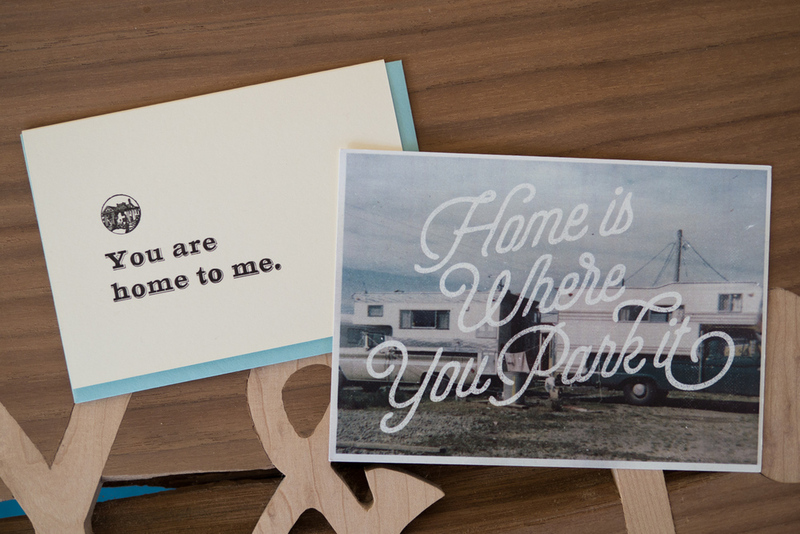 A letterpress card from Seattle-based Constellation & Co. (left) and a fun postcard for the nomads among us from The Cabin Supply Co. of Queenstown, New Zealand completed the card assortment. 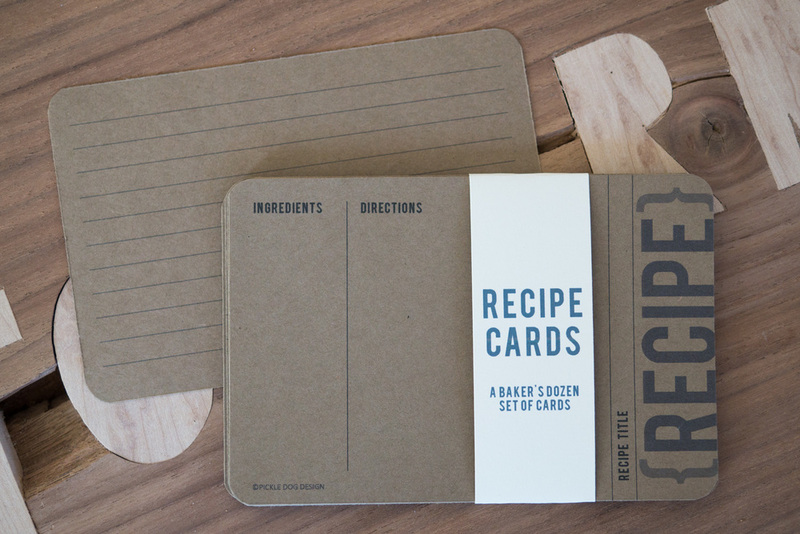 Of course, the best thing about home is home cooking, and the collection also included a baker's dozen set of recipe cards from Minneapolis-based Pickle Dog Design. 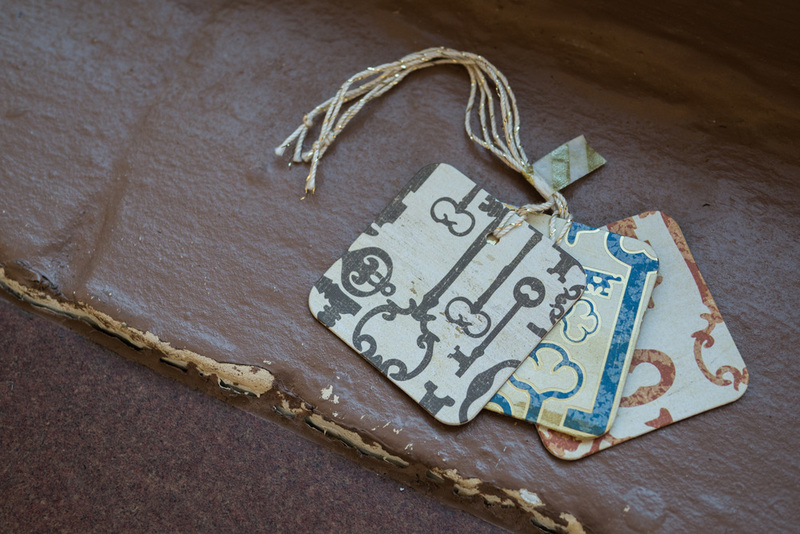 Rounding out the collection was this set of three key-themed chipboard tags from studioCee. The package also included a pre-stampled feedback card, a fun and personal touch. I've mentioned before that I'm kind of a tough sell when it comes to subscription services, since I generally like to purchase stationery items with an immediate purpose in mind. However, Neatography and other curated subscription services are a fun way to disccover some great items that you likely wouldn't have encountered on your own. I also really appreciate the purchase flexibility that Neatography offers. The option to buy at my own pace really appeals to me. Vist Neatography.com to see what Lindsey has in the works for Feburary and for complete details on subscription and one-time purchase options.